Owen Harlan Mickel, better known as “Montie Montana,” was born on June 21, 1910 in either Montana or North Dakota. He wasn’t sure where because his parents moved so much, but he considered Wolf Point his home. At age six, Montie saw a guy spinning a rope, so he started practicing with a couple of friends. While his friends moved on to other pastimes, Montie kept spinning that rope. His first stint in show business as a trick roper came in 1925, at age 15, when he performed at a Miles City Rodeo for $15. 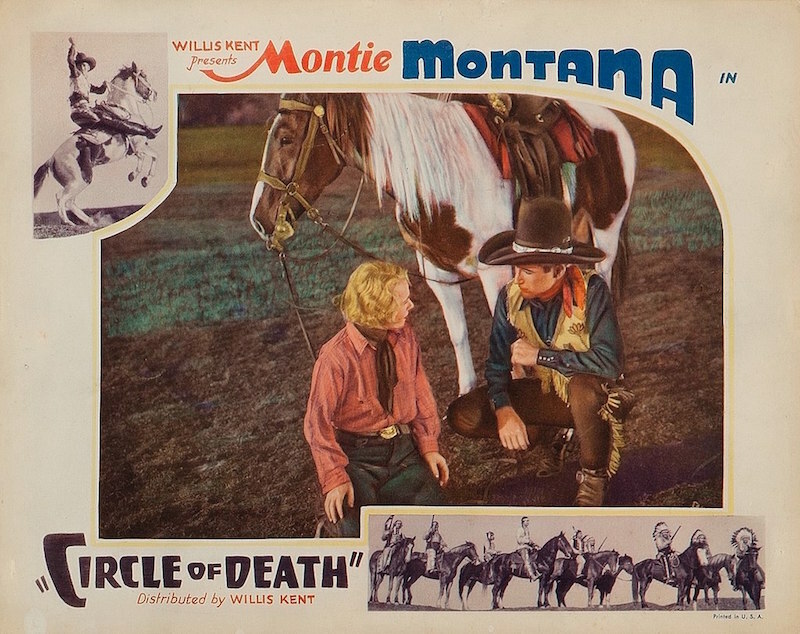 When he rode into the arena the announcer forgot his name and simply proclaimed, “Here’s Montie from Montana, the Montana Kid.” Thinking it sounded pretty good, he adopted Montie Montana as his professional name. In 1929, Montie moved on to California and began his film career as a rider, roper, stunt double, and actor. He had small roles in 19 films including The Man Who Shot Liberty Valance and Stand Up and Cheer. He was the technical director and trick rider and roper for Will Rogers Jr., and he did stunt riding in at least a dozen other films. In 1953, Montie made international headlines when he roped President Dwight D. Eisenhower at his inaugural ceremony. The president agreed to the stunt on the spot. Later, a secret service man told Montie that if they hadn’t heard the president’s permission, they would have turned him into a sieve. Montie put on roping and riding shows for 72 years and concluded at the famed Pendleton Roundup in Oregon in 1997. Montie Montana passed away on May 20, 1998 and is buried in Chatsworth, California. His rose draped coffin arrived at the cemetery on a horse drawn wagon and his burial featured the Riders of the Purple Sage singing Roy Rogers’ theme, Happy Trails.